The best ways to get free vegetable seeds for planting a home garden. 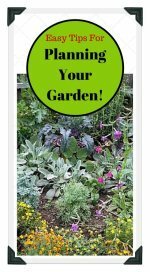 How to harvest and collect free garden seeds, trade seeds with neighbors and friends, to ensure a steady supply of vegetable gardening seeds. According to many avid gardeners, the gardening season officially begins on January 1st and ends on December 31st, which gives you plenty of thyme (excuse the pun) to get your hands on free vegetable seeds! 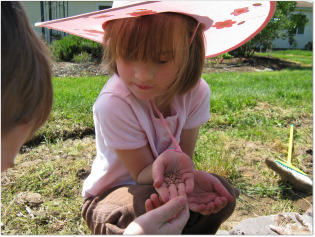 Gather free seeds in your own garden! Hybrid plants often do not breed true from seed. However, with non-hybrid plants, instead of purchasing new seeds every year, collect and save seeds from the best vegetables you have grown in your garden to replant. You may develop a breed particularly suited to your region. Sometimes, you may have to purchase seeds the second year, but be patient, some plants do not produce seed their first year out of the gate! Choose the best overall plants as your champion seeders. 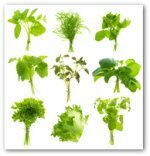 With crops such as lettuce or spinach, where it is the leaves you want to harvest, select a plant that takes its time going to seed. With root crops such as carrots and radishes, use the plants that go to seed first, since this action means earlier roots in your new plants. Offer to trade some of the free plant seeds you collect with fellow gardeners for other vegetable seed varieties. If you have a bumper crop of lettuce seeds to share, trade some of them for other types seeds that you didn't collect. If your winters are mild, beets can be left in the garden. If not, store the best roots, set in sand, in a cold, damp spot. In springtime, replant the beets, and when the seed stalk develops, tie it to a stick to keep it from breaking off. Cover it with cheesecloth as it matures. Once the stalk is mature, break off and hang it indoors with your drying onions. Remove the beet seeds when dried. You should have seeds in time for a late crop the same year. Store in dry glass jar. This plant cross-pollinates readily. If you want free vegetable seeds to be true, grow only one species of cabbage. Store the firmest, largest heads in individual baskets of soil in a root cellar or other cold spot over the winter. Follow the same handling as beets listed above. Follow the same procedures as beets to collect free vegetable seeds. Do not attempt to replant if there are plenty of wild carrots in your area, or you will end up with no account half-breeds! Allow the cucumbers to vine-ripen to yellow-orange, even slightly mushy. Remove seeds, wash, and let them sit in shallow dishes of water to ferment for a couple of days. Rewash them, pat dry with towel, and dry further by layering between sheets of newspaper. (We will really miss newspapers for vegetable gardening techniques when the Internet replaces newsprint for good!) 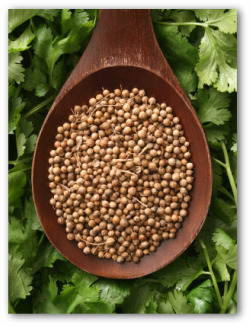 when absolutely dry, store in a tight glass container in a dry corner of a cabinet. Check once a month to make sure mold has not crept in! Harvest your plumpest, best-shaped, scab-free spuds for saving. (You could hold a spud beauty contest! And the winner is...) Store potatoes whole, buried in dry sand in a cool, dry place. For planting, cut into seed pieces, each with one or two eyes. Mulch heavily over the winter. Uncover early in spring and collect seeds as with beets listed above. Leave on the vine until the leaves turn color and begin to die. Pick the pods and shell the peas. Dry them further between newspapers in a dark location free of any dampness. Watch out for mold. Store free vegetable seeds in dry glass jars. 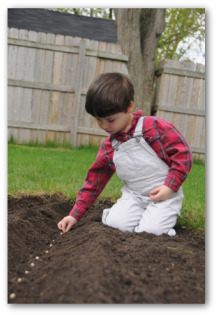 Gathering your own seed is the best way to self-sufficiency and better vegetable gardening. After harvesting ripe pumpkin and other winter squash varieties, save a few of the healthiest looking seeds from the best looking specimens. Rinse the seeds in cold water to remove the plant fibers. Lay them to dry on a paper towel. Store the clean, dry seeds in a bag or dry glass jar in a cool dry place until time for planting in the spring garden.